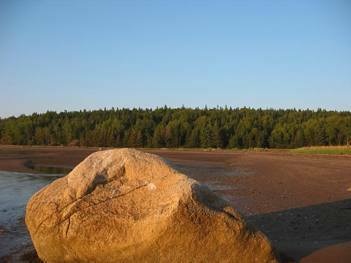 MICA and our partners (the Province of Nova Scotia, the Municipality of the District of Lunenburg and the Municipality of the District of Chester) have invested very significant financial resources to bring 18 Mahone Bay islands or island properties into public ownership for conservation and for traditional public use. In addition MICA has financially supported the acquisition of Quaker, Lynch and Snake Islands by the Nature Conservancy of Canada. The Mahone Islands Conservation Area has become a very significant recreational resource. This would not have been possible without the financial support of our government partners and particularly without the very substantial financial support of our members, our friends and our corporate supporters since the beginnings of MICA in 2002. We are very fortunate to have these prime islands and island properties. MICA has the stewardship responsibility for this wonderful resource. We collectively must ensure that they are respected and conserved. If you find trash please remove it. If you see any broken glass please remove it. Do not build structures, furniture or trenches. Use only established trails. Do not make new ones. Do not try to burn your garbage - remove it. Before leaving your campsite ensure all fires are extinguished. Do not fill in the firepit with sand. Burn only dead wood debris from the ground that can be broken by hand. Observe all fire bans and the Provincial Burn Map. Be respectful of and try to minimize the stress on all wildlife. Note that there are osprey nests near some popular landing sites. Control and clean up after your pets at all times. Be aware that there are often nesting birds in the grass and on the shoreline. Do not set moorings - learn to anchor instead. Moorings restrict access and are contrary to everything MICA has worked for in acquiring these islands for all public use. Unattended or abandoned moorings are a hazard. There is evidence of Cow's Parsnip on some MICA islands which can be harmful to people or animals who come in contact with it. Please take adequate precautions. 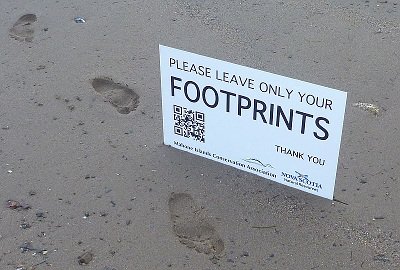 Be respectful and considerate of your neighbours, both on land and on water. We thank you for your help and support in ensuring good stewardship of these islands. Please communicate these guidelines to your friends who use our islands and also encourage them to join MICA if they haven't already. Please help us steward this magnificent resource by completing our online MICA Island Survey. Thank you again for your cooperation and support.